Judgment Free Zone at Hitch Fit Leads to Success! Home/Success Stories/Judgment Free Zone at Hitch Fit Leads to Success! “Jennifer had seen one of my transformations on Facebook and contacted me with a ready to go attitude. I could tell from the first meeting that she was serious and ready to begin immediately. Jen hadn’t been exposed to a weight lifting routine, so this was all new to her! She did an amazing job pushing through all the tough workouts, going heavier on weights, and fighting through a lot of squat jumps! 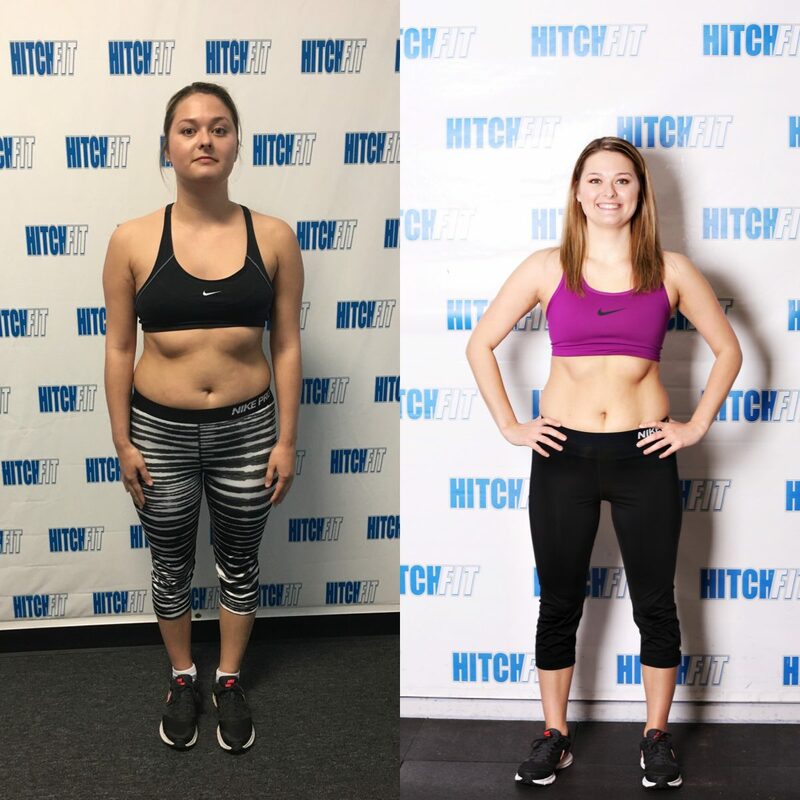 I watched her confidence blossom as she started wearing tank tops to her workouts and just had an overall more confident attitude. Jen managed to get most of her meals in, keep proper nutrition, and workout on her own all while being an amazing nurse at KU Hospital. Jen lost 8% body fat, 10 inches, and 15 pounds of fat! I am extremely proud and love her commitment to herself to become healthier and I can’t wait to see her continue on with a healthy lifestyle! 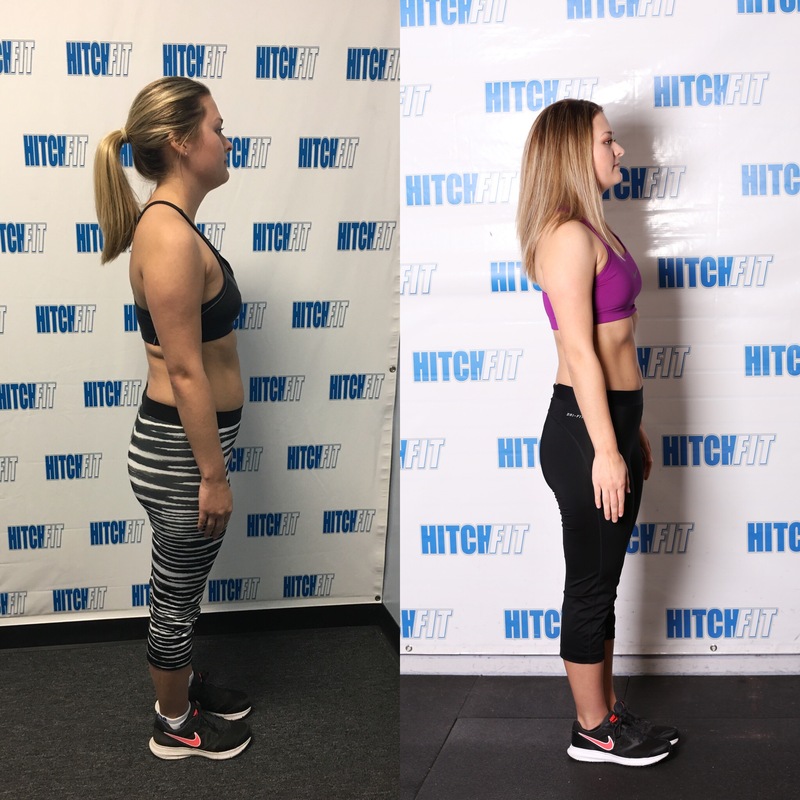 “I was stuck in a rut when I decided to give Hitch Fit a try. I hadn’t had a consistent workout routine in a long time and I had lost all confidence in my body and in the gym. I also worked a stressful job and either ate a ton of junk food or barely had enough time for a real meal. I had seen what Hitch Fit could do for others and decided it was time to see what it could do for me. 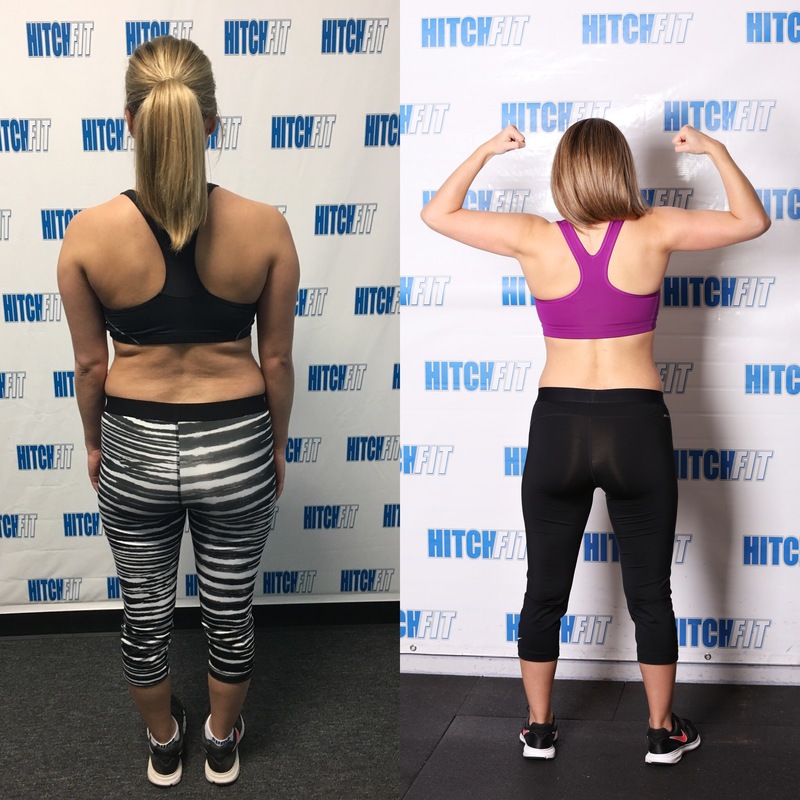 Are you READY for your Transformation at Hitch Fit Gym Overland Park with Amanda Minter?